Military veterans hold transferable skills that are perfect for roles in the business economy. However, many don't get the chance to prove themselves due to stigmas surrounding the applicability of ex-military candidates during recruitment processes. But there is light on the horizon for ex-servicemen and women in the UK, as it's nearly time for the second annual British Ex-Forces in Business Awards, a unique event that celebrates the commercial achievements of military veterans who have found a second career in the private sector. Many of us are aware or have at least heard about the struggles many ex-servicemen and women face after leaving the military. The struggles are multilayered, from the emotional and social pressures of re-entering society after living as a close-knit military community and experiencing stressful and violent situations, to the economic ones, such as what sorts of job roles can they perform with their specialist skills? Whether they have been in the military for five years, or even decades, military veterans can leave the vocation feeling isolated and alone. The veteran employment gap is a real thing, where working-age veterans are nearly twice as likely to be unemployed as their equivalents in the UK general population. This employment gap is a loss to the business community, as veterans commonly hold a skill-set that is easily applicable to roles in business such as leadership skills, strategic skills, and a strong ability to work as part of a team. But what is needed is a way that veterans can communicate the value of these transferable skills, and how they can be applicable to the needs of the commercial sector. There is also work to be done among hiring managers to tackle any underlying biases that occur when a veteran’s cv comes across their desk. There needs to be further education within the recruitment sector and awareness about the commercially transferable skills veteran candidates hold. This is exactly the problem that the British Ex-Forces in Business Awards is trying to solve. By identifying and commemorating veterans who have left the military and have used their gained skills to succeed in business, the community is given role models to look up to and follow. At a time when there is little to no visibility given to commercial role models in the veteran community, the British Ex-Forces in Business Awards is shining a light on those who are defying archetypal views of what ex-military personnel can achieve outside the forces. In doing so, their achievements can inspire others to follow in their commercial and entrepreneurial footsteps. The awards are held to shine a light on commercially successful veterans. 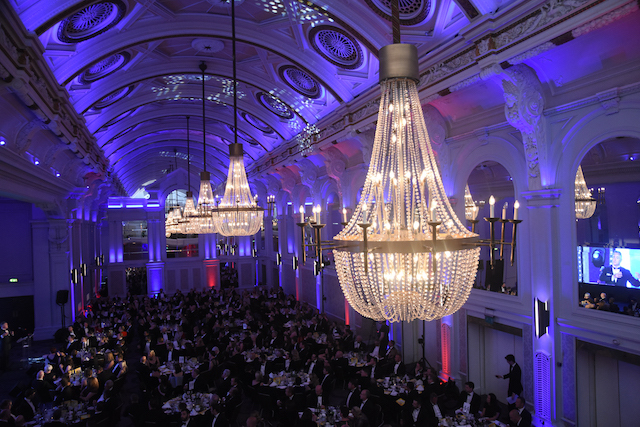 This year’s awards ceremony, set to take place in the London Hilton on Park Lane’s Grand Ballroom on May 8 will bring together an audience of over 800 people, making it the largest awards event of its kind globally. Attending will be a number of UK business leaders, veterans, top employers, current serving officers, politicians, journalists. Despite the diverse nature of the attendants, all are united by the desire to promote the significant value that ex-military candidates can add to the UK economy. From over 400 nominations, the finalists were chosen by a judging panel of military veterans headed up by Admiral Sir George Zambellas, former First Sea Lord and now chairman of several companies. Other judges include the CEOs of aerospace giant Lockheed Martin (UK), pathology service provider Viapath, governing body GB Snowsport and recruitment firm Staffline Group, as well as senior leaders from EY, PwC, Credit Suisse, Goldman Sachs, Cisco, and Royal Mail among others. The Military Wives choir performed at last year’s awards ceremony.